and for Mills, who rode come rain or shine. 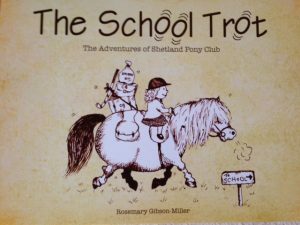 This is the true story of a little English girl who really did ride to school on her Shetland pony. 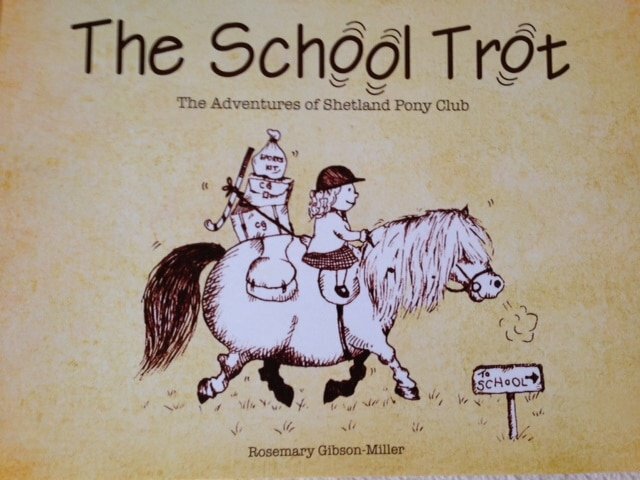 Inspired by an old photograph of Grandfather riding to school in India on a donkey, Mills decided to ride to school on her Shetland pony to avoid the traffic jams. 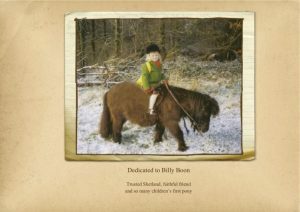 Billy the shetland was for many years a common sight, as he trotted through Arbrook Woods in Surrey, always laden with satchels and school books on his way to Rowan Brae School . 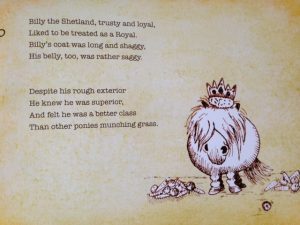 Much admired for his classic Shetland looks, sturdy character and sense of self-importance, Billy went on to give countless children their first ride and was the founding pony of Shetland Pony Club. 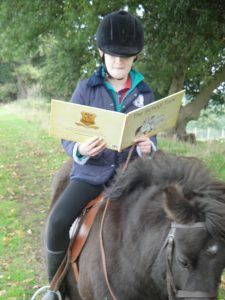 Our first book was written in his memory .The illustrations are drawn by staff member Charlotte Lillingston-Price (at the age of fifteen) who knew Billy for over a decade. Charlotte drew the delightful pictures which capture Billy’s true spirit.